Just Another Static Heart: Want to Play a Game? Today, I have a game! Now, it's nothing fancy in the slightest, but it will be fun, and a bit gross. 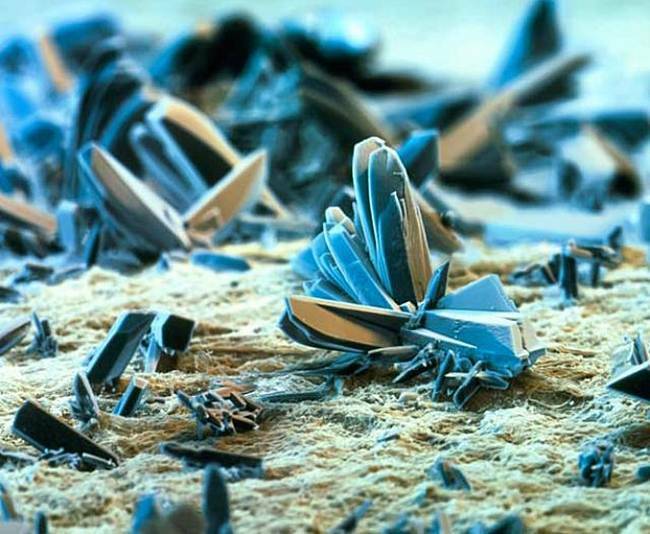 The rules are simple, just look at the images below, and try to guess what it's a picture of. Easy right? Maybe not...these are images taken with an Electron Microscope. Meaning that it could be anything bigger than a DNA strand....so good luck! The answer will be listed under each image, so no peeking! A house dust mite (Dermatophagoides pteronyssinus). 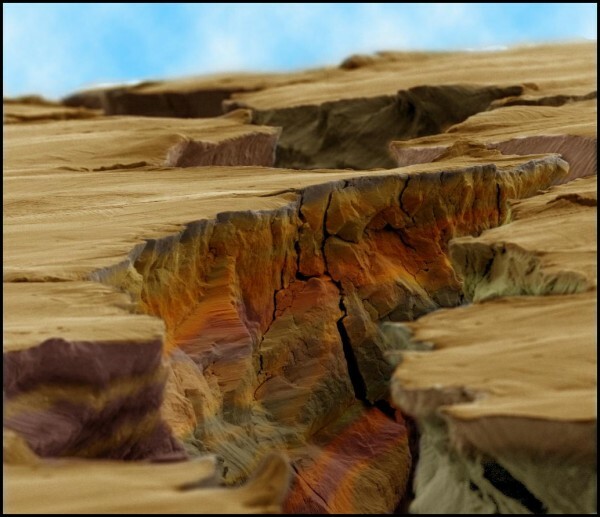 Millions of dust mites inhabit the home, feeding on shed skin cells. They mainly live in furniture, and are usually harmless. However, their excrement and dead bodies may cause allergic reactions in susceptible people. Thought your house was clean didn't you? A human hair...with a split end. 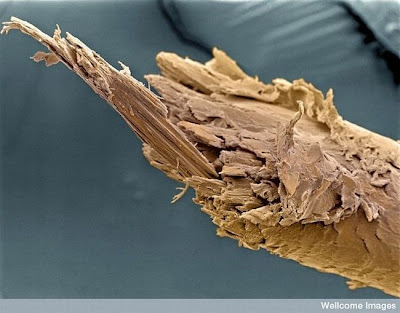 Yes ladies, this is what our split ends look like up close! 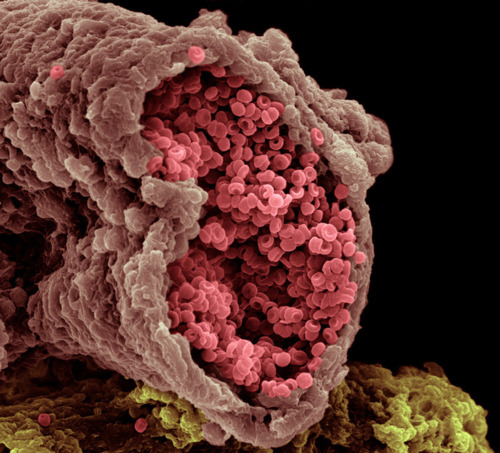 A Human artery, and blood cells that run through it. 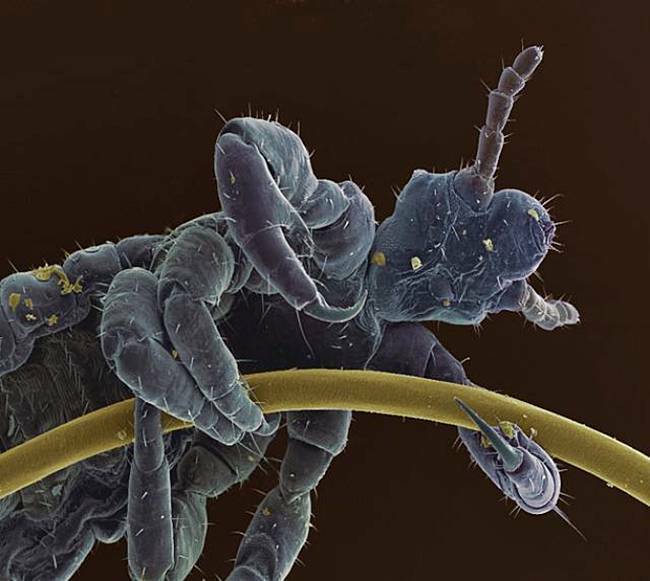 A human head louse, commonly called head lice, clinging to a hair. 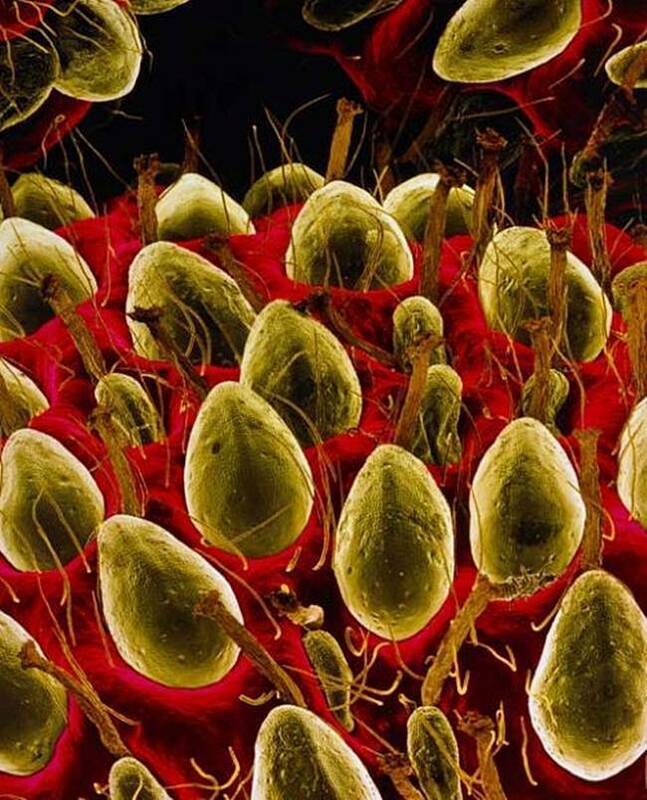 The surface of a strawberry. 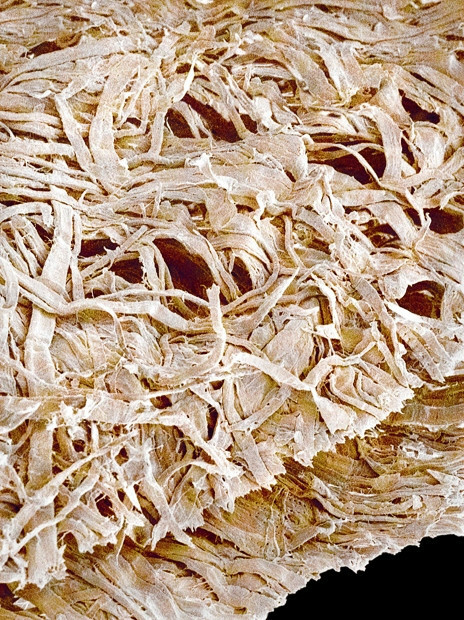 Fimbriae of a Fallopian tube. These beautiful tissues gently cradle and sweep your egg to the Fallopian tube. Household dust which includes long hairs such as cat fur, twisted synthetic and woolen fibers, serrated insect scales, a pollen grain, plant and insect remains. 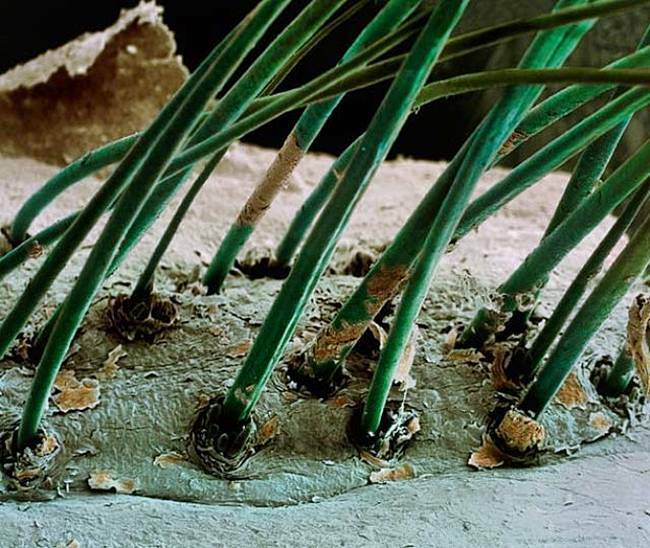 Eyelash hairs growing from the surface of human skin. 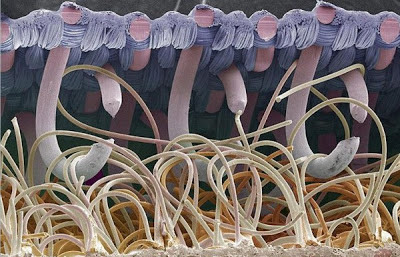 If you look closely at the base of some of the hairs, you can see the tail end of eyelash mites sticking out from the base. These mites live on almost everyone, and feed off your dead skin cells. Best part? They don't poo! 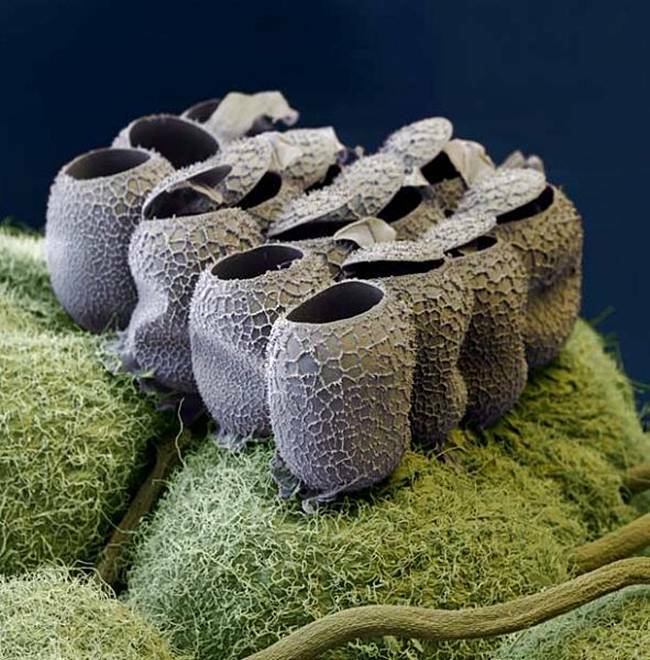 A clutch of unidentified butterfly eggs on a raspberry plant. 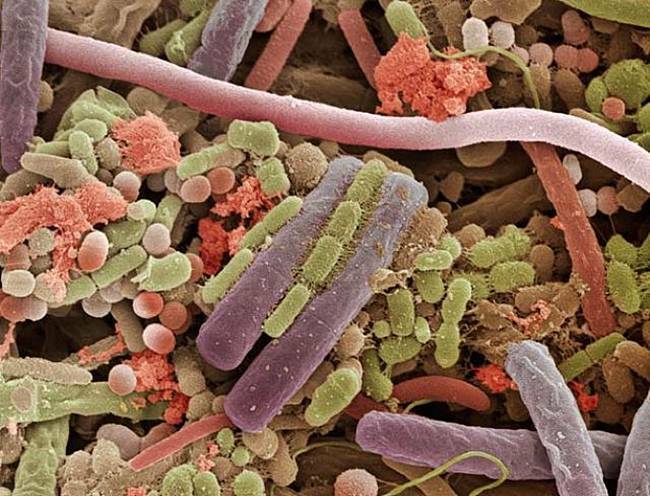 Bacteria on the surface of a human tongue. Did you brush your tongue today? The nylon hooks and loops of velcro. 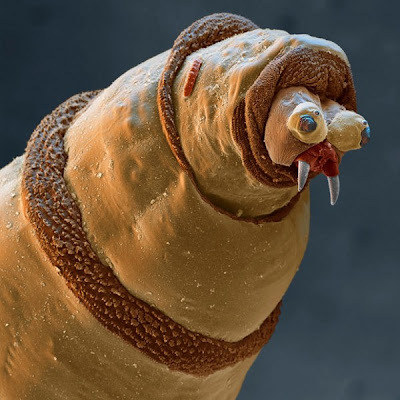 The head of a maggot of a bluebottle fly (Protophormia sp.) with tiny teeth-like fangs extending from its mouth. The maggots of this fly are used medicinally to clean wounds. The maggots are sterilised and placed in the wound, where they feed on dead tissue and leave healthy tissue untouched. Their saliva contains anti- bacterial chemicals which maintain sterility in the area. Maggots are used on ulcers and deep wounds away from organs or body cavities, most often being used to treat diabetic ulcers on the feet. Wan't that interesting? I hope you enjoyed that as much as I did...and remember, a little bit of gross and weird in your day never hurt anyone. It just makes life more interesting. 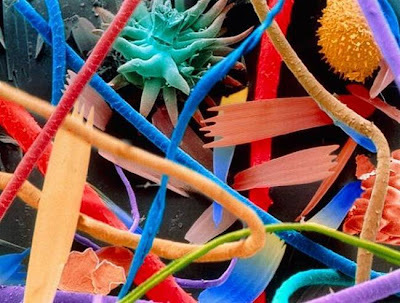 Eyelash mites? 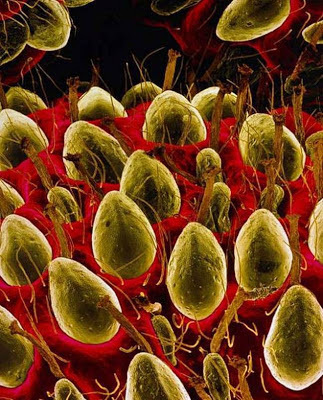 head lice? and fallopian tubes? These range from completely gross to really amazing! What was your inspiration for this post? That was really cool in a random sort of way! 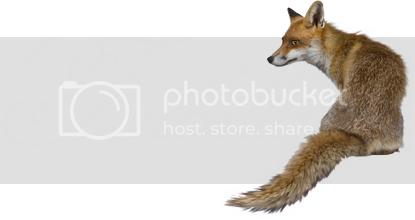 Thanks for taking the time to find these images! I love Science! 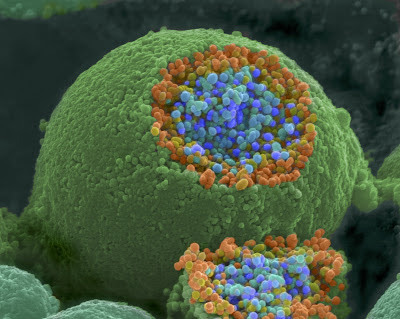 And I'm so nerdy in life, I thought it would be fun to share that nerdiness, and show why Science can be awesome! Haha! I threw him in for the gross factor! Okay I'll admit this IS cool but grossed me out so bad. haha!! I love science, since I'm a science teacher after all, lol. Great pics, thanks for sharing! Cool! Some were a little gross though. LOL Gross! But I will give you fun for sure! I didn't get a single one right lol. Very cool! 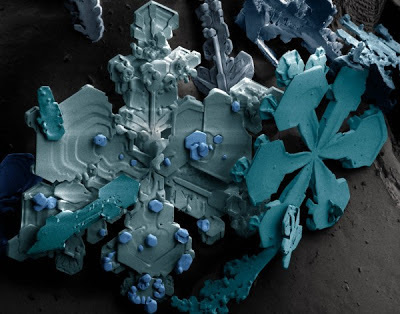 I loved looking at these. Thanks for sharing. Great pic's., and fun post...but your right some were a little gross...LOL! So of these are amazing, some were just creepy but I loved them all! I love photos like those! Thank you for sharing! That was a great post. I love looking at stuff like that even though I am grossed out a bit. I will live. Thanks for sharing. I am going to have to show this to my son when he gets home. He is gonna love it. These pictures are VERY cool but the maggot was gross! Lol! Super cool - loved the snowflake! Where did you get these? 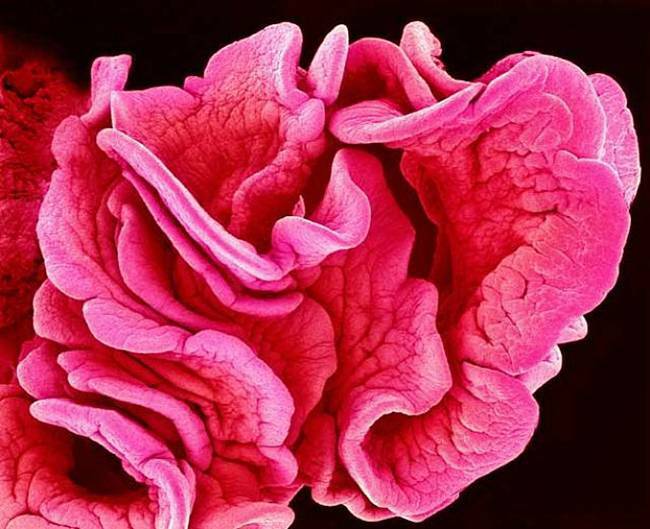 I love the top of Fallopian tube one that looks like rose petals! How fun! I have to say I only got 2 right lol! Thanks! That was really cool :).